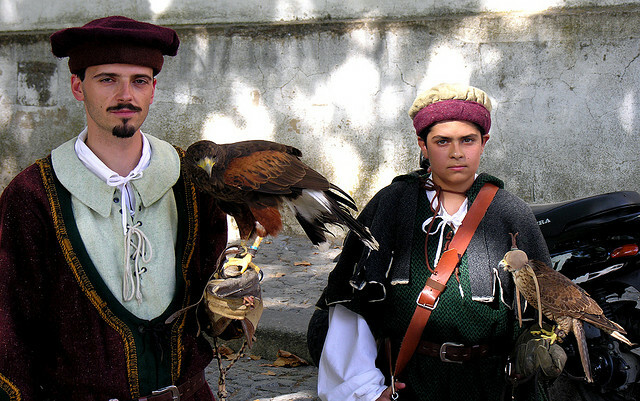 Portugal is a country of great diversity. You can find evidence of its rich history at every turn and also the influence of the Discovery Journeys during the 15th and 16th centuries. 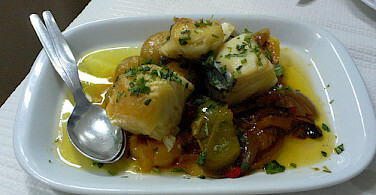 Everything is mingled in the culture, architecture, landscape, and gastronomy. On this cycling vacation in Porgutal you will ride along beautiful and quiet roads through many typical small towns and villages that are common of Portugal and admire the vast landscapes inland and along the coast. 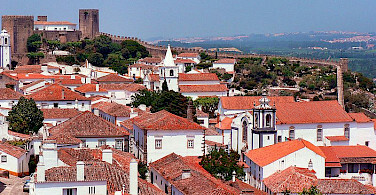 The bike tour includes two shorter days that were intentionally designed to give you time to explore two towns: Óbidos, the most preserved medieval village in Portugal nd Évora, a town classified as World Heritage by UNESCO. 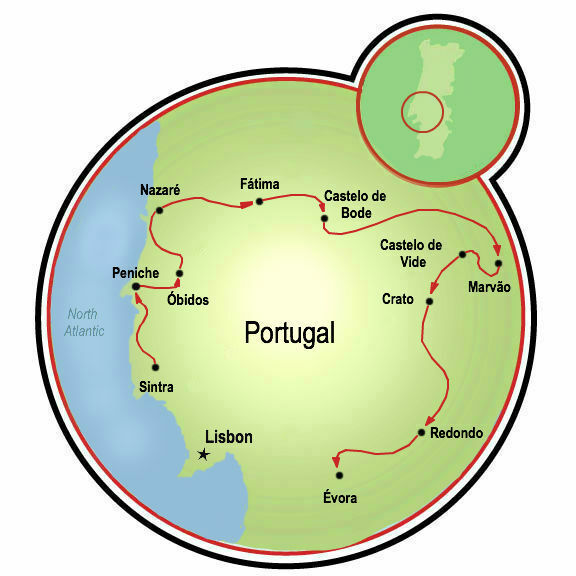 All of our bike tours in Portugal can be found here. Transfers to and from Lisbon airport are included. Check local conditions upon arrival. Average high/low temperature for Lisbon, Portugal: June 76/60º, September 79/63º, and December 59/49º. Personal Accident Insurance and Liability Insurance. 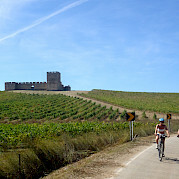 This is a moderate to difficult road bike tour with average daily distances ranging from 32 to 78 miles (52 to 125 km). Arrival and welcome at Lisbon airport. 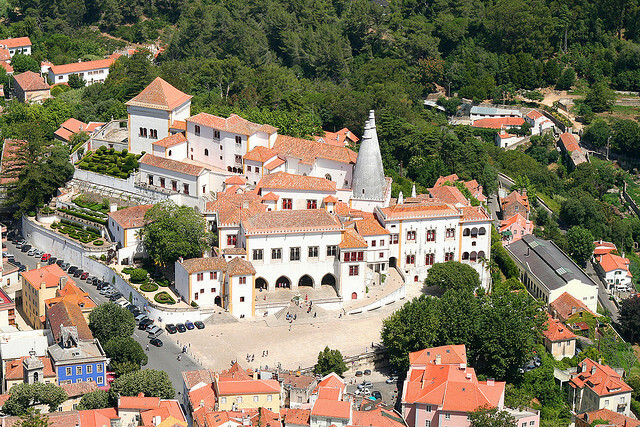 Transfer to Sintra, one of the most beautiful old towns in Portugal, classified as World Heritage by UNESCO. 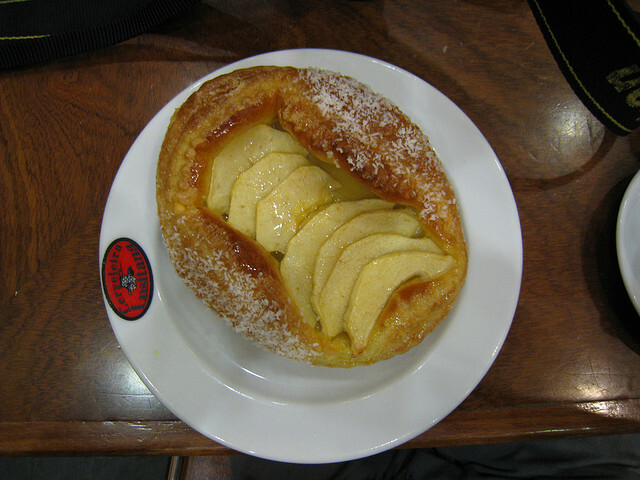 Here you will be briefed about the tour and have dinner with the group (included with guided tour only). 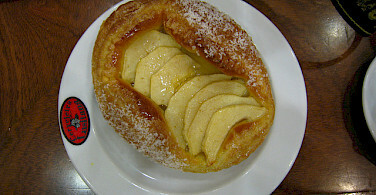 Lodging in a 4* hotel in the center of Sintra town. 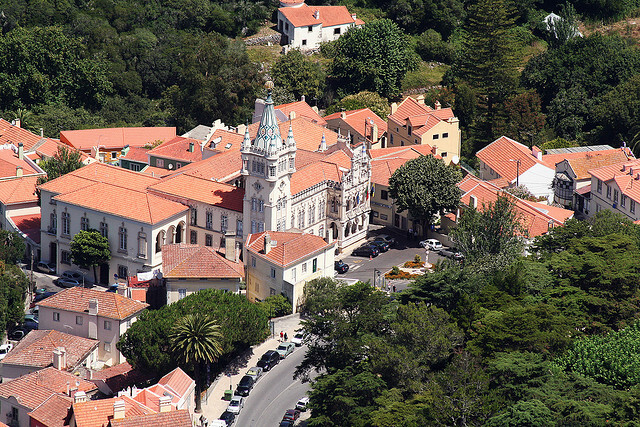 Today you leave Sintra, cycling through the Natural Park of Sintra-Cascais until reaching the sea. Lodging in a 4* Hotel located in a ravishing green exterior space overlooking the beautiful blue Atlantic Ocean. 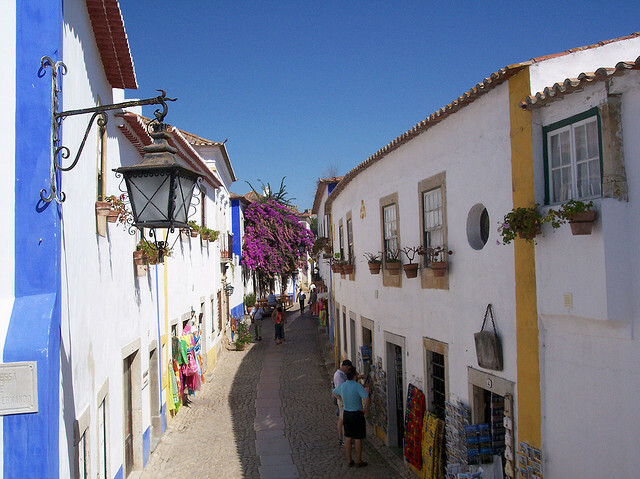 After a difficult day, this route will be a more relaxing one until arriving in Óbidos, the most-well preserved medieval town, with its narrow and winding roads, whitewashed houses, and the castle at the top. This is a shorter day in order to give you the opportunity of visiting this Jewel of Portugal, after having admired the beautiful sea sceneries in Peniche. Lodging in a charming 4* hotel whose building is dated from the 14th century. 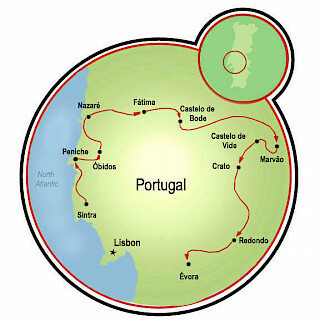 The Portugal cycling tour continues along the Atlantic Coast, past several beaches, of which Nazaré is the most popular. 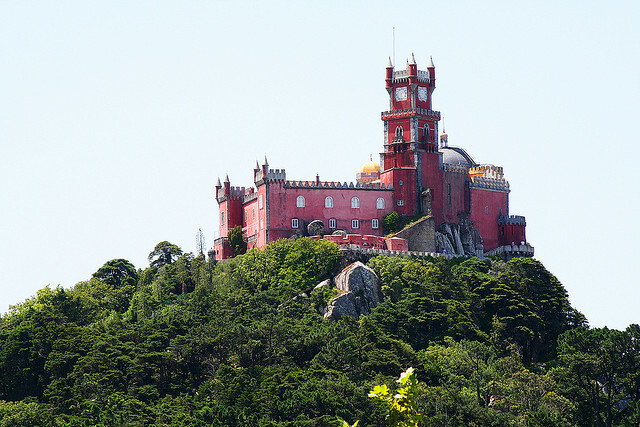 You will then cycle Portugal inland and pass the grandiose Batalha Monastery. Today's destination is Fátima, a place of many pilgrimages and prayers, and a town that several Popes have visited due to it. 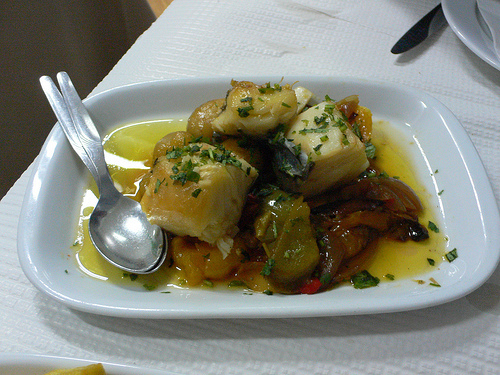 Lodging in 4* hotel very near to the Sanctuary in Fátima town. This is a light day of cycling and on today's agenda is boat tour which takes you to visit to a small castle (entry fee included in guided tour only) in the middle of Tagus river (the same river you see in Lisbon). Lodging in a 4* hotel located in a rural area where you can enjoy the quietness of water and nature. This is the longest and most difficult day. However, the route includes many flat roads that allow for easier cycling. 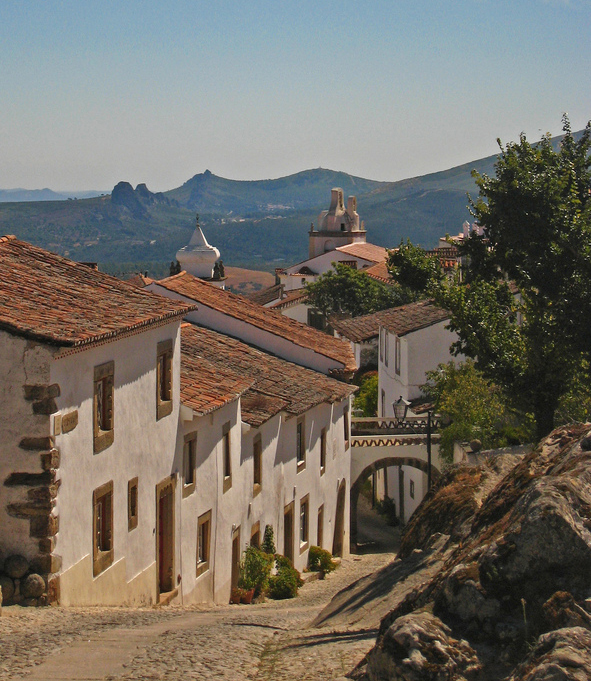 The route leads through the vast region of Alentejo and the day ends with the climb to Marvão, another medieval village on the top of the hill, which once defended Portuguese borders from the Spanish invaders. 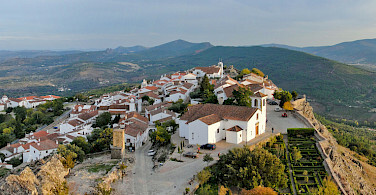 Lodging in a cozy 3* hotel in Marvão, the highest medieval village of Portugal. Today is an easy day and a chance to rest after a yesterday's difficult route. 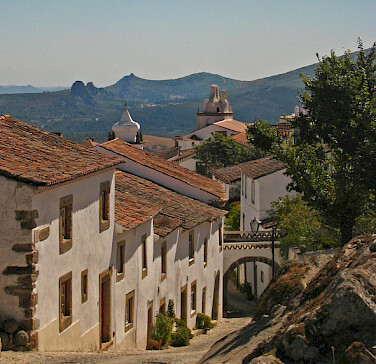 You ride from Marvão to another medieval village, Castelo de Vide. 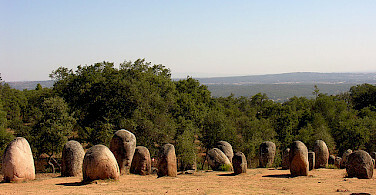 Both of these villages are included in the Natural Park of São Mamede Hill. After leaving the Natural Park, cycle to a 14th century Monastery which is located in the middle of nowhere in the plain. Lodging in a Pousada that combines the genuine characteristics of the former monastery with modern luxury. 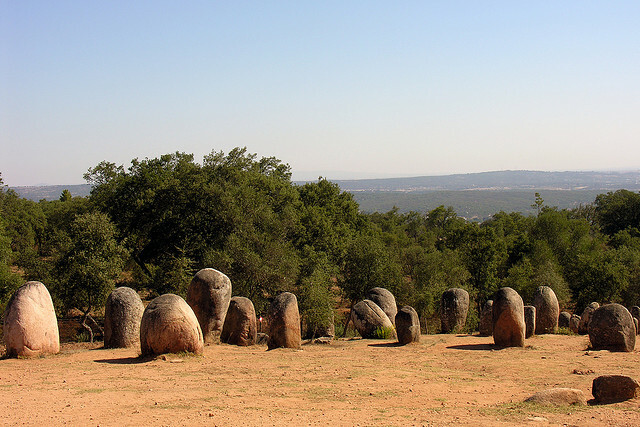 Alentejo is a region that keeps many secrets, charms and relics. 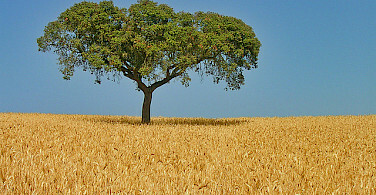 Along today's route, you cycle past olive trees, cork oak trees, and vineyards. 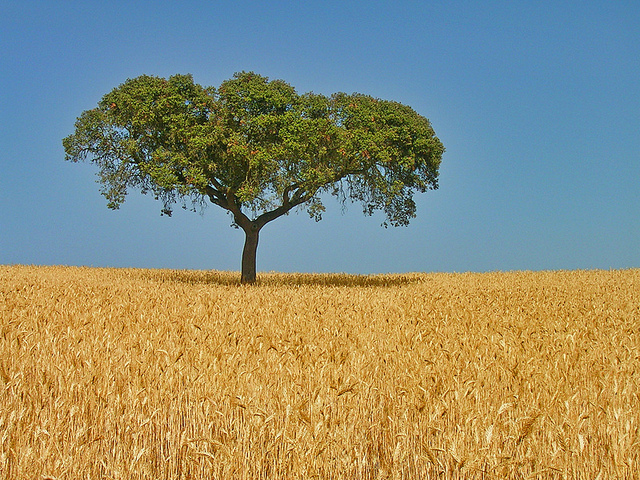 This is the land of olives, cork, and wine. We will find another hidden treasure at the end of the day. 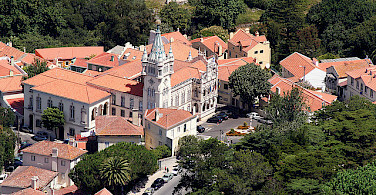 Lodging in an impressive Convent built in 1182 by monks, recently converted in a 4* hotel, with its impressive private collection of eighteenth century Portuguese tile work. This day gives you the opportunity to visit the last Jewel of Portugal, Évora, which was classified as World Heritage by UNESCO, due to its ancient History which dates back to Roman times. 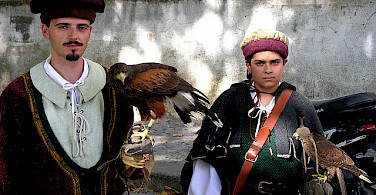 There are numerous ancient evidences and monuments in this strategic region. A visit to a pottery workshop is recommended. Lodging in a 4* hotel with swimming-pool, located in the middle of the historical center of Évora, next to the 14th century city wall. You continue cycling towards the coast until reaching the most typical beach in Portugal where the fishermen work their nets and dry the fish under the sun. 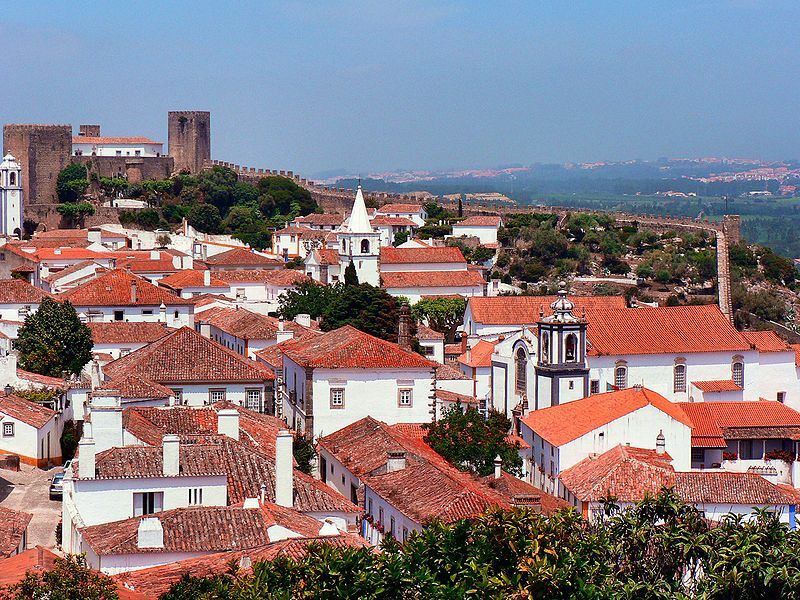 The tour continues with gorgeous sea sceneries and then we get to the most well-preserved medieval town, another Jewel of Portugal, with its narrow and winding roads and its whitewashed houses and the castle at the top. Lodging in a charming 4* hotel whose building is dated from the 14th century. This long coast north of Lisbon is called the Silver Coast because of the reflection of the sun on the sea water. You will see the wonderful view when you cycle around a small peninsula. Lodging in a renovated 3* hotel. 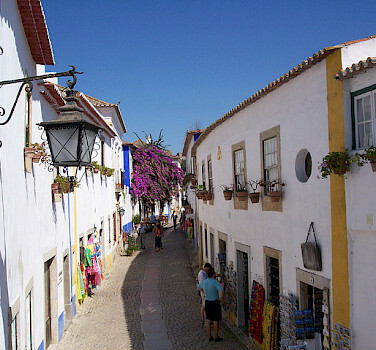 As you continue cycling south and closer to Lisbon, ou will start to see more traffic and some original fishermen villages which are now used as vacation spots. Lodging tonight in a charming 4* hotel very close to the sea. 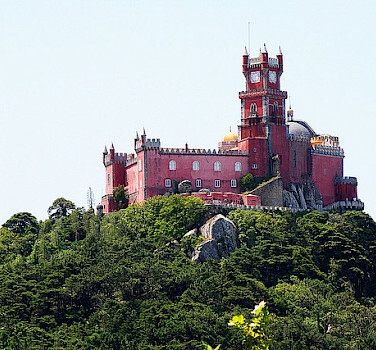 This last day on the bicycle takes you to one of the most important Jewels of Portugal - Sintra, the place where Kings and Queens spent their vacations. The cycling day is short (but not easy) so that you have time to visit this special romantic place in the forest. 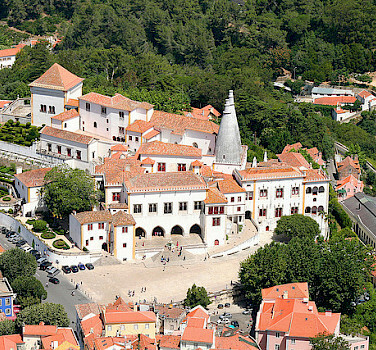 Lodging in a 4* hotel located in the historic center in Sintra.